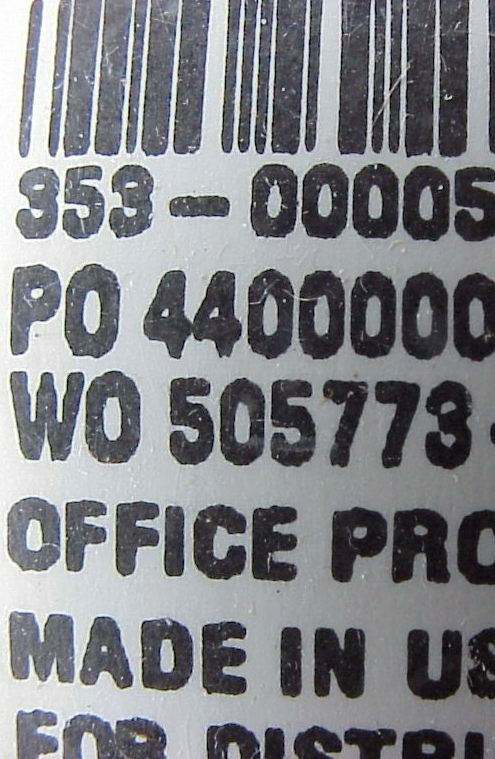 Provided courtesy of EMS Professional Software, the world's leading vendor of old, used, and out-of-print development software. I'm certainly no expert, but thought I'd share what I've learned about spotting illegitimate copies of Microsoft Products. In general, COAs should have crisp, well-defined printing, just like currency. If it's at all fuzzy, it's probably a forgery. This photo is from a forgery. A chain of broken circular cuts goes from left to right across the center of the COA. 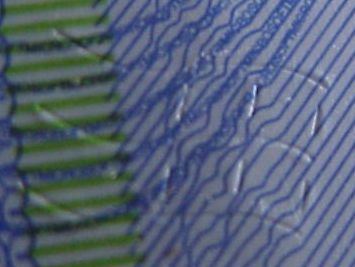 These make it difficult to remove a COA from an inexpensive product and transfer it to a counterfeit one. If the cuts are missing, it's a forgery. The Microsoft logo above should be very slightly raised above the COA surface. You should be able to see this at an angle, or to feel it with your fingernail. 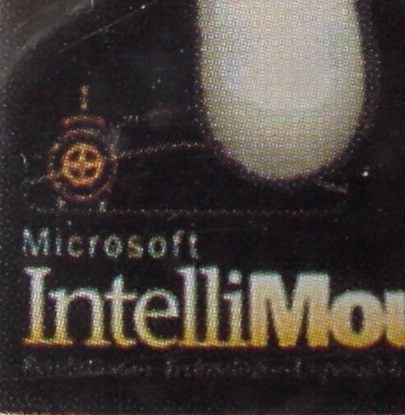 In the white area above the logo you should see Microsoft written in white ink. This is difficult to see except with proper lighting, at an angle. The photo above is from a forgery. The background of the Microsoft logo at the top of the COA is composed of green micro-printing. The micro-printing should be clear, repeating "Microsoft". The photo above is from a forgery. 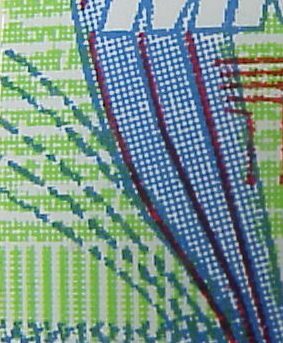 Seven blue rectangles printed with temperature sensitive ink should fade when rubbed vigorously. The rubbing generates heat, and your fingertip should get hot. You can do this through the shrinkwrap. If genuine, the rectangles should slowly return to blue. Forgeries don't fade when rubbed, or ink smears or rubs off. The photo above is from a forgery. 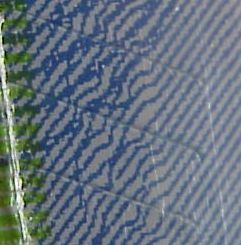 COAs should have crisp microprinting, but this is difficult for forgers. You can see the differences below. To prevent moving COAs from a cheap, legitimate box to an expensive forgery, MS puts in the COA. Legitimate COAs have "flying Windows logo" cuts. One forgery I've seen used straight cuts. These are best seen by viewing the COA at an angle, to catch light on the cuts. Forgeries are made from high resolution scans of an actual box. The easiest way to spot a forged copy is by close examination of any photos on the box. 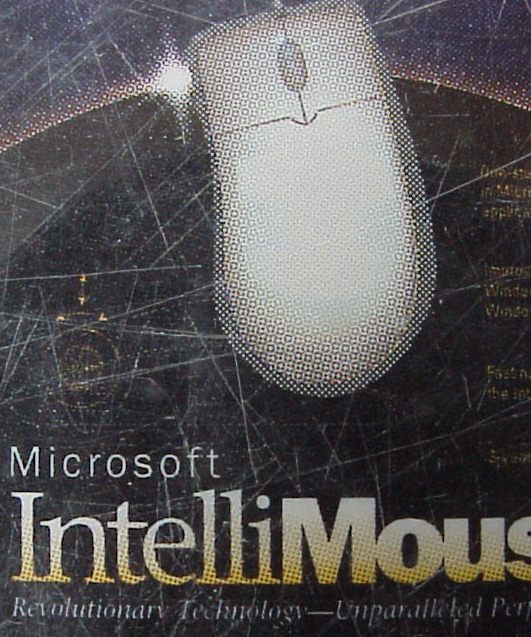 Here's a detail from MS-Mouse package photo. The white product label on the top of the box is sometimes the only detail you can see when buying. 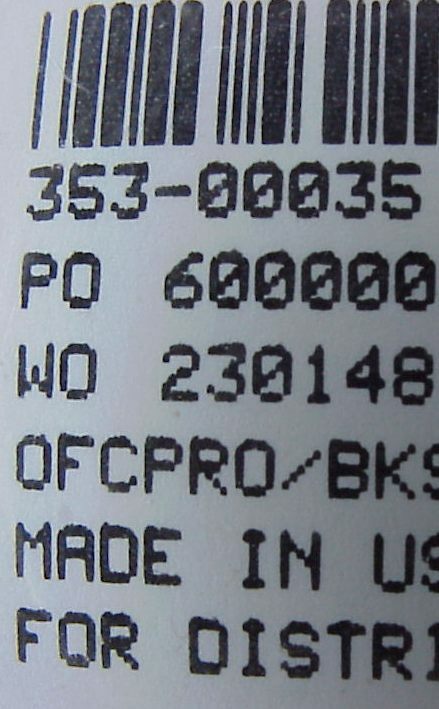 Genuine product is printed clearly. Forgeries are often "muddy", with fatter letters. 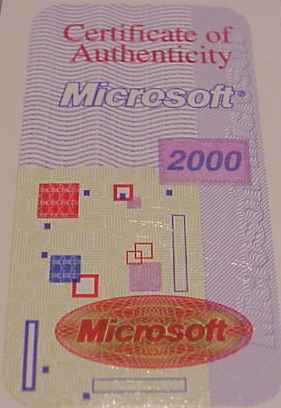 (on Office2000 and Windows 2000) I haven't seen any forgeries of this yet. Semi-opaque/transparent Pink rectangle with "2000" printed inside. When rubbed, the pink will quickly fade without the 2000 smearing. Pink comes back after rubbing stops. 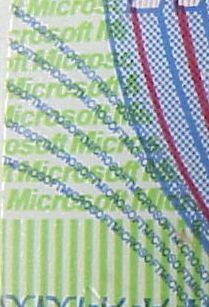 Very crisp microprinting of "MICROSOFT" ribbons in waved lines at top half, left two thirds of COA. See http://www.microsoft.com/info/smart404.asp?404;http://www.microsoft.com/piracy/licenseguide/retail.asp for licensing terms for retail products.